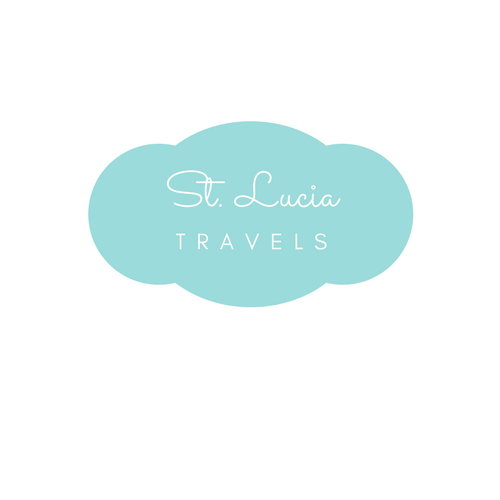 Welcome to another of our Best of St Lucia with our reader’s blog series. We wouldn’t have this amazing blog without including our readers. The goal is to show you how amazing St Lucia is and why it’s the place to be. We write and blog a lot about amazing trips to St Lucia taken by our readers. Here is another amazing review of the island: the best of St Lucia with Sarah. My partner and I (both 22) visited Saint Lucia in February of 2018 for the 5th time. We are both from Germany (and St. Lucia is quite unknown here) so we had to book two separate flights (Munich-London; London- St. Lucia). It was our first time visiting St. Lucia in February. We highly recommend also visiting St. Lucia during the June-September months!! Where did you stay while on your amazing trip to St Lucia? Usually, we stayed at The Landings Resort & Spa which is a really beautiful Hotel located on an even more beautiful beach in the north of St. Lucia. This time we only stayed for one week at this gorgeous hotel. We wanted to see more of St. Lucia that’s why we booked an Apartment in Rodney Bay (Villa Judz, booked via Tropical Holidays Group) for the first two weeks of our vacation. What activities did you do in St Lucia? They are a few things we did on our amazing trip to St Lucia. We rented a car so that we could explore the island on our own. Our first stop was Marigot Bay, a really beautiful place. We took a Mad Bath at Sulphur Springs and visited the diamond falls in Soufriere. We also visited the Pigeon Island National Park where we had a great view of the whole island. We definitely also recommend a trip down to Martinique (we visited Martinique for 3 days and it’s a beautiful island, too). A Catamaran Sightseeing Cruise or a Sunset Cruise is also a great way to see more of St. Lucia so we usually book one of those tours during our stay. It’s worth to check out small local places, they have amazing food! You can also find delicious street food in Gros Islet (chicken & fish burgers, bakes, dahls…) which is great for lunch. We highly recommend visiting St Lucia this year. Get low rates today. If you like this post, PIN IT here to your Travel board. I can’t wait to visit St. Lucia. I keep reading so many great stories about the island and seeing gorgeous photos. It looks like such a laid-back paradise! St-Lucia is definitely on my list of destinations! With amazing white sand beaches, delicious food and breathtaking views, it’s the perfect getaway! So glad you’ve been enjoying St Lucia! I’ll have to put it on my bucket list! My husband and I have been looking everywhere for somewhere to go on our 5 year anniversary trip. We hadn’t considered St. Lucia before this post. I also noticed one of your pictures was with a puppy friend! Was this your dog that you brought with you? We are always sad leaving our puppy behind. I’d heard of St Lucia before but I actually had no clue where it was so had to google it haha. I’ll be adding it as a place to go when I visit the Caribbean at some point in the future. Thanks so much for the tips! I love hearing about your readers experiences traveling to St Lucia, and as always the pictures are amazing! I think I would do like Sarah and her husband and rent a car to discover the island and maybe switch accommodation. Sounds like a great plan to really get a feel of St. Lucia. i would love to visit someday! it looks so enchanting! Thank you for telling us about this amazing place. Marigot Bay sounds great and I think you meant mud bath, not mad bath – either way I would try it out! The water looks so relaxing right about now and wouldn’t mind having a mini vacation there. St. Lucia looks beautiful! I have been to a few of the Virgin Islands, but I really want to see this one! Travelling to St. Lucia is on my bucket list of places to travel. Thank you for sharing this positive review of the Island. So good to see. Looking forward to one day vacationing there with my family. I was talking to my wife about visiting an exotic place this time and there you are. St. Lucia is going to be our next destination. Thanks a lot for providing the information. Place is so clam and beautiful. want to visit there. This place is really awesome to hangout with family and friends. want to visit there. Gorgeous! My inlaws just got back last week and said the island is stunning! They stayed at the Sandals resort and had a few issues with it though. I’m really sorry to hear that. I’m happy they enjoyed the island though. St. Lucia is a paradise, we have to go there! Ah to be 22 again! I would love to visit St Lucia with my family now. Such a great place! You are as young as you feel. The great thing about St.Lucia is that you can book a hotel which has an area just for the kids so you can have some adult time. St Lucia looks absolutely beautiful I can’t even comprehend how much more beautiful it would look in reality! Like heaven on Earth! This is one the places I absolutely cannot wait to visit and this picture is making me so jealous. Thanks for sharing! The water makes me want to visit the place. It really looks peaceful and beautiful there! love your pictures, especially the one with the clear waters. so inspiring, time for the holidays 🙂 would like to take a swim.